Perfect arch This is the arch that is exactly twice as wide as its height. It is called perfect because of its perfect symmetry. 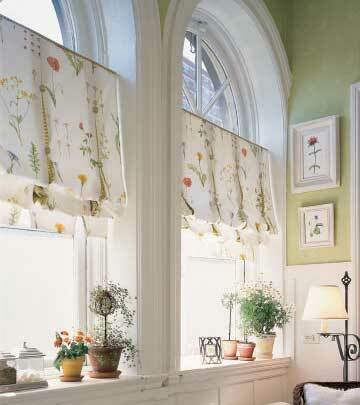 Window treatments are relatively easy to apply. 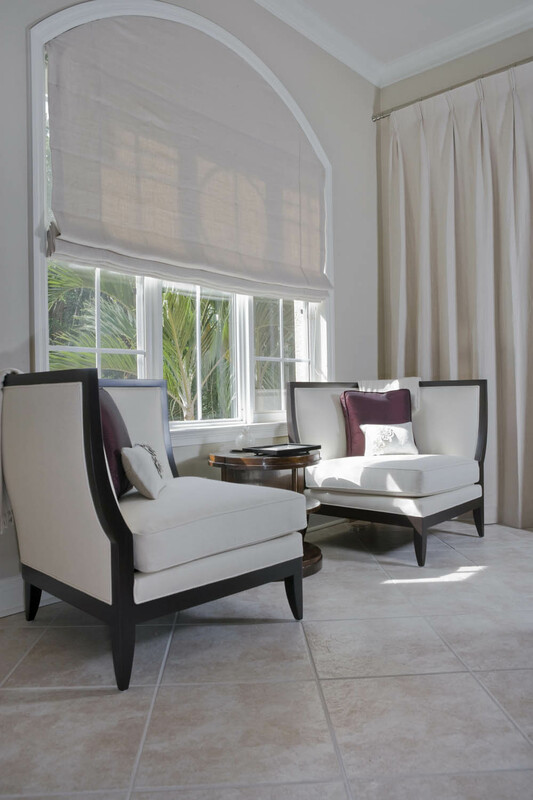 Imperfect arch If the imperfection is slight and is off within up to 2 inches, some, but not all, arch window treatments can be made to fit the imperfect arch. Palladian The Palladian window consists of a large center window that is topped by an arch flanked by two smaller side windows. Arch Top Windows These windows are rectangular windows on the bottom and arched on the top. 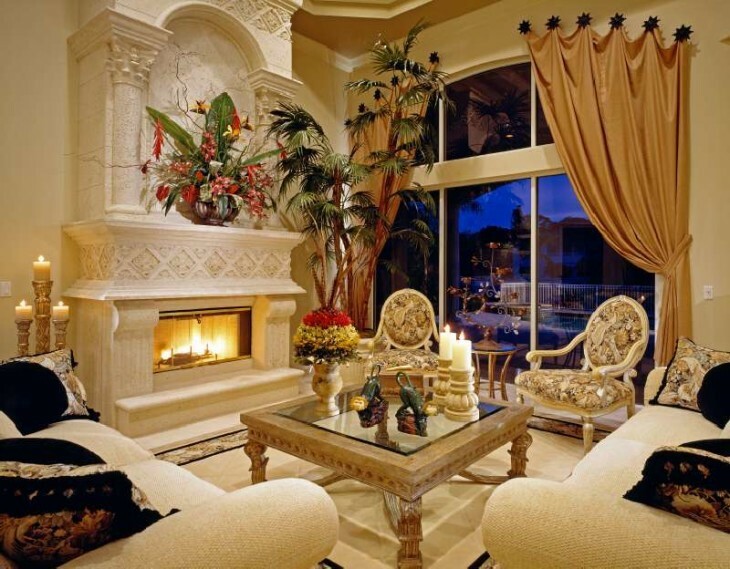 They are called extended arch windows because they are arch windows with an extension. Elliptical Window These are the arches that are wider than twice the height of the window. Eyebrow Window This arch is like the elliptical arch but it has straight sides making the window taller. 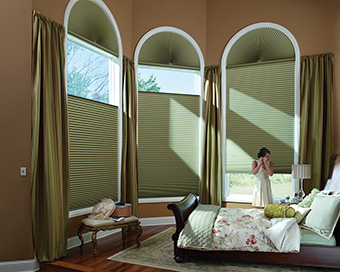 Arched fabric shades are another alternative. 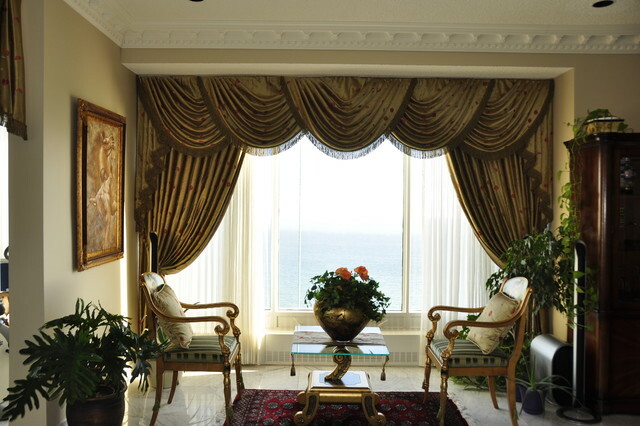 Fabrics have prints and various opacities that will meet your need for privacy, light control and furnishing protection. However, these shadings will only operate up to where the arch begins. You may consider an Austrian, balloon, cloud or Roman shade for this application. 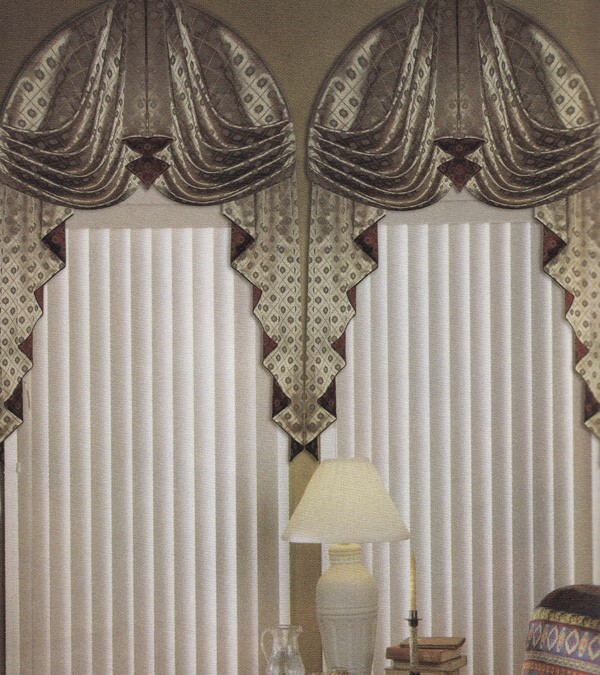 If your arched window is large select a fabric that can be railroaded (turned the opposite way) this way you will avoid a seam in the width of the fabric. 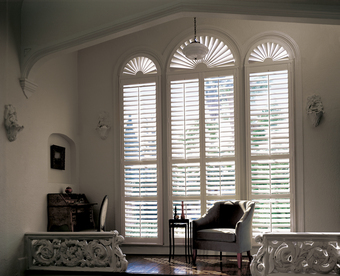 The seam can be easily hidden in the length of the window treatment. 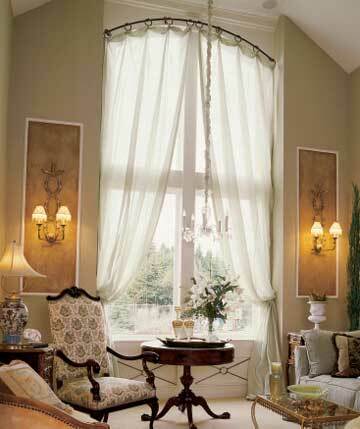 Arched Windows can be covered with curtains or a drapery. Flexible rods are available. However, gravity will take over and your window treatment will want to droop, make sure you have selected rings that lock in place. You may also consider decorative tie back holders to hang the drapery. These can span the entire arch or a portion thereof. Swags and Jabots are a more formal option. You must select a fabric that will have a drape-ability, ensuring the folds of the swag lay beautifully.